A Stethoscope is one of the most widely used pieces of medical equipment used by various clinicians. 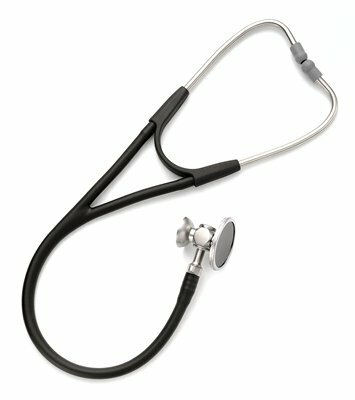 A stethoscope is used to listen to heart, lung and other body sounds. It is also used in conjunction with a blood pressure device to determine a patient’s blood pressure. We also offer a range of other cardiology related products. Contact us to learn more about the products we offer.